The total cost of our work for 2015 was £26,000! The total cost for our work for 2016 was £20,400! The total cost for our work for 2017 was £21,000! Are you able to set up a Standing Order to help us with our work all year round? The cost of our work is steadily rising year by year, so we urgently require your support to allow our vital work to continue across Northumberland, Newcastle Upon Tyne and surrounding areas. All work is conducted by dedicated volunteers. There are no paid staff and all donated funds are used directly in running the charity and the care of its patients. Donations can be made by using the buttons below. Now, our supporters can donate items from our WishList via Amazon as an alternative to a standard donation. 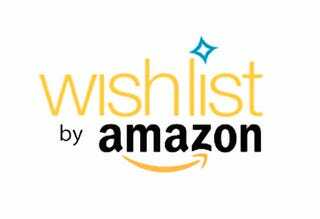 Simply click on the WishList logo to be taken to the Blyth Wildlife Rescue WishList where you can donate the items we need the most; pay securely online through the Amazon website and the items will be shipped directly to BWR for us to use for our patients! You can also make a donation to Blyth Wildlife Rescue by Text Message, thanks to the Vodafone JustTextGiving service! Now, our supporters can donate items from our WishList via Amazon as an alternative to a standard donation.Simply click on the WishList logo to be taken to the Blyth Wildlife Rescue WishList where you can donate the items we need the most; pay securely online through the Amazon website and the items will be shipped drectly to BWR for us to use for our patients! Donate easily and securely online by using myDonate by BT. myDonate is a free online service that allows you to donate for free directly to Blyth Wildlife Rescue, as BT does not take any fees or commission from your donation! Donate online by using PayPal directly into the Blyth Wildlife Rescue PayPal account; even if you don’t have a PayPal account!